We’re proud to support kids in need by sponsoring Hondo-based nonprofit Helping Abused & Neglected Children‘s (HANK) annual golf tournament fundraiser in Devine on Saturday, August 22nd. 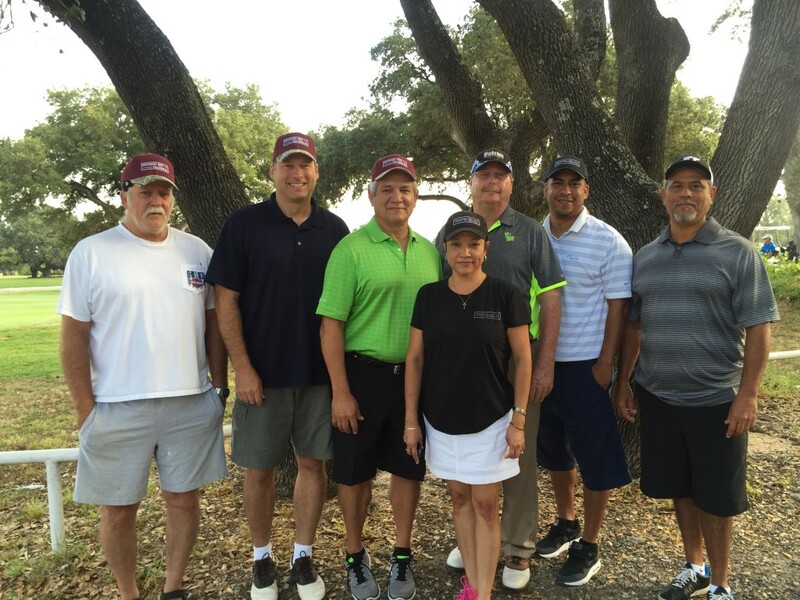 Southwest Gulf Railroad’s Cynthia Prieto pictured with HANK tournament participants. A total of 73 players in 25 teams and 47 hole sponsors raised $8,100 for HANK, which works closely with the Department of Family and Protective Services (DFPS) and Bluebonnet Children’s Center to help provide items that other children take for granted such as beds, sporting equipment, band instruments, Christmas and birthday presents, school supplies, graduation invitations and photos, class rings, etc.